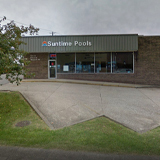 Suntime Pools offers Hayward pumps and filters. We keep a variety of sizes and models in stock so that you are sure to find the highest quality filtration and circulation for your pool. 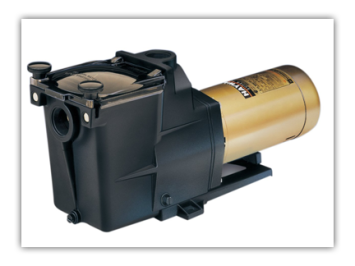 Suntime also maintains a full inventory of parts for Hayward pumps and filters so that occasional repairs can be made with maximum efficiency. We carry Hayward’s best-selling Super Pump and Pro-Series filters ideal for in-ground pools and the Power Flo pump and Pro-Series filters perfect for above ground pools. Suntime Pools carries Ruby Sand as an alternative to traditional sand. Ruby Sand’s popularity is due to the improved clarity, which can capture debris as small as 3-5 microns versus other sand at 20-40 microns. Our pool service professionals are happy to assist you with installation of any of our pumps and filters upon request. We supply common parts and fittings needed for self-installation or normal wear and tear. At Suntime, we can provide you with the best robotic cleaners available. We carry the Dolphin pool cleaners by Maytronics – the pioneers of automatic pool cleaners. Dolphin cleaners combine advanced technology with reliability so you can enjoy a clean pool with ease! Dolphin cleaners are equipped with the best software on the market, programming the cleaner to your specific pool so that it never misses a spot! Swivel cables patented by Dolphin eliminate tangled cables that can cause issues in other automatic cleaners. 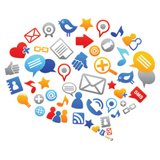 Schedule your cleanings with the push of a button! Your Dolphin can automatically clean every day, every other day or every third day, and it lets you know when it’s time to empty the filter so you are never left guessing! The DX line is a Suntime favorite! 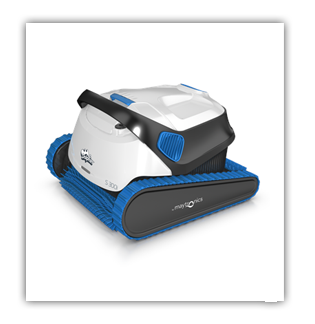 Our best-selling Dolphin DX3 is lightweight, easy to use and cleans the floors and climbs the walls. The DX4 offers a remote control for touch-guided navigation and cycle options, will clean the floors and walls and even scrub the water line! Both cleaners come with mesh bag filters that are easy to empty. The newest member to Suntime’s Dolphin family is the M400 cleaner which possesses all of the great features of the DX line with the addition of an advanced navigation system, ultra fine cartidge filters and triple action brushing. All cleaners come with a bumper-to-bumper warranty. As a Maytronics dealer, we are trained to fix most parts and issues without sending it to the factory. 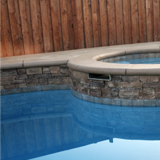 Suntime Pools has access to a variety of heaters that will extend the comfort and length of your pool season. Use your pool at the perfect temperature even during Fall and Spring! Cool Spring and Summer nights cause a major drop in your water’s temperature…but with an efficient pool heater, you can keep your water comfortable all season long! 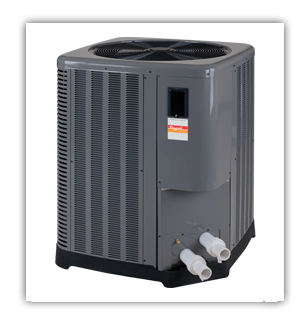 We recommend three major companies when shopping with us for your new pool heater. Heat Siphon is considered the most efficient and cost effective type of pool heater on the market. Heat Siphon uses a titanium heat exchanger and offers several models to fit your pool size. Raypak has been the world’s leading manufacturer of heaters in their industry for over 50 years – they carry several series of heat pumps and gas-fired heaters. Raypak gas-fired heaters include the Versa Gas line, 206A-406A line and the Low NOx line which are generally available in 2 different ignition styles: millivolt, or electronic. Hayward has been manufacturing cutting edge, technologically advanced pool equipment worldwide for over 80 years. Hayward has options for the environmentally responsible customer like their Universal H-Series. At Suntime, we have the knowledge and experience to help guide you to finding and installing the perfect heater for your pool. Visit us today for more information and to get started on enjoying your pool all season long!